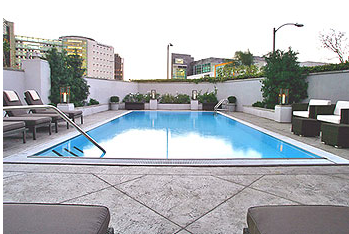 They call the property Sofitel Los Angeles at Beverly Hills and it is technically in Los Angeles, with the official border of Beverly Hills only a few blocks away. 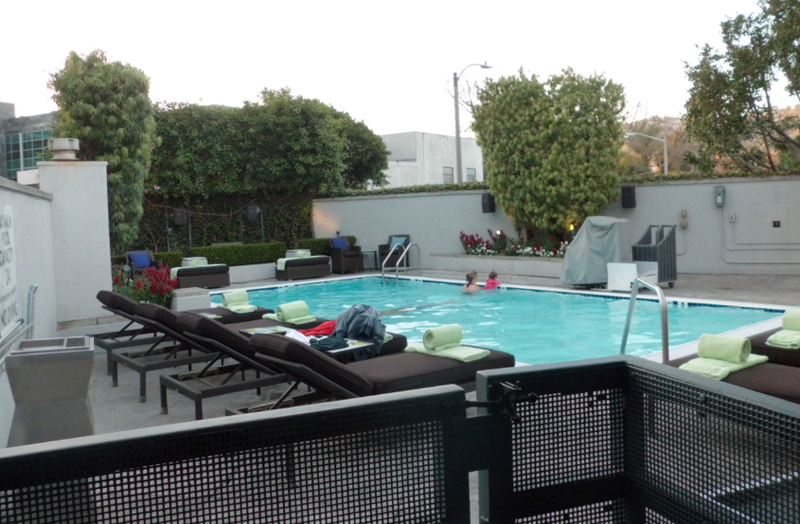 But if you book this place thinking you’re staying in Beverly Hills, in walking distance to Rodeo Drive, the fancy shops, Nate ‘n Als, you might be disappointed. It’s at a busy intersection in an area of Los Angeles that also borders West Hollywood and the Miracle Mile district—where the popular and shi-shi shops of the Beverly Center meet Cedars Sinai hospital, the Beverly Connection mall, and some nice boutiques and eateries on La Cieniega, Beverly and nearby Melrose Avenue and 3rd Street. I was worried that bait-and-switch mentality wouldn’t stop there. A while back we linked here, to Oyster.com accusing Sofitel of doing some pretty fancy footwork when it comes to their web site pool image. The hotel site accused Sofitel of photoshopping the nearby Macy’s department store out of their web site pool photo. Don’t all hotels showcase their properties from the best angles? While we don’t love the fact that they say they are in Beverly Hills when they’re not, or that the photos on their website are sparse overall (not just when it comes to the pool) we wouldn’t accuse the property of lying. Maybe just aggressive marketing. Makes me wonder about the other properties Oyster.com is calling out for photoshopping? 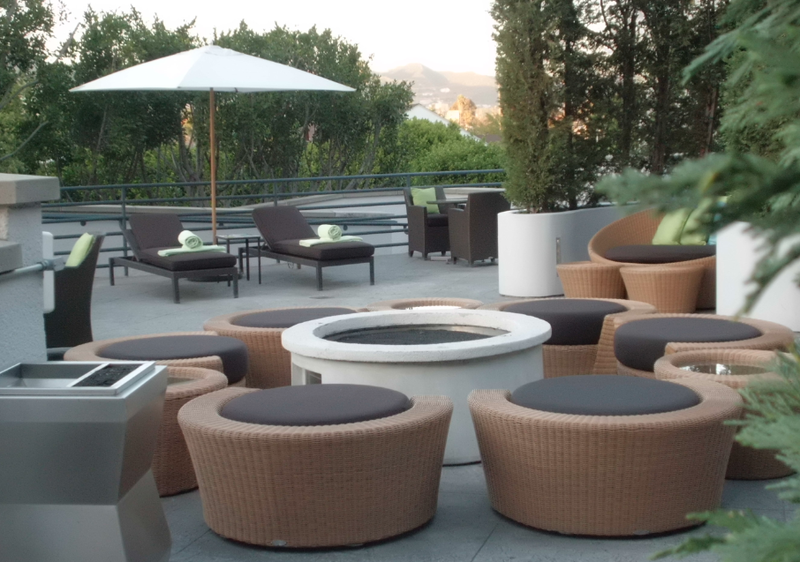 The rest of Sofitel is nice–with great service, attention to detail and an overall luxe vibe. And friendly. We booked our visit via HotWire, but the staff treated us like any 4-star clientele. Either way, you’re not going to be staying here for the pool. It’s nice enough, but nothing much to it. Small. Shady. Breezy. 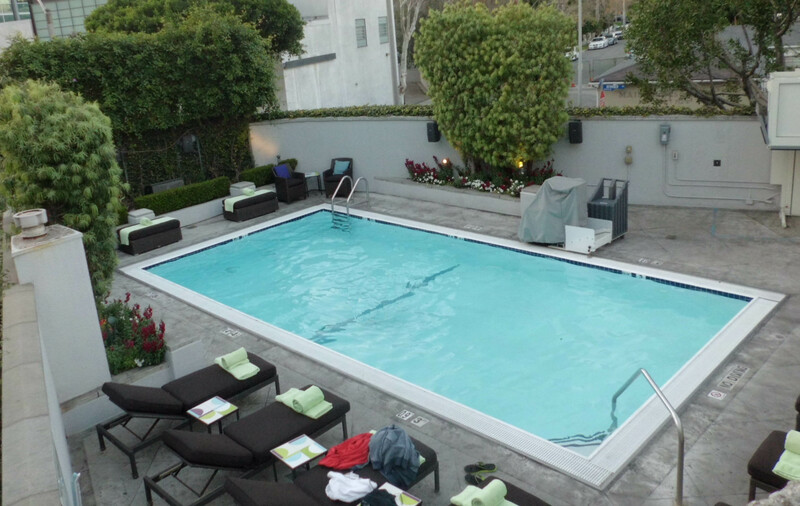 Stay here for easy access to Hollywood nightlife, to rest your feet after a day of shopping the great botiques on 3rd Street, or because your loved one is in the nearby hospital and you deserve some pampering. And if we’re going to accuse someone of photoshopping pool photos, we might have to take a long hard look in the mirror. See if you can spot the VERY amateur retouching to remove a swimmer from one of these photos. We’ll buy the first person to spot it correctly (via the comments section) a cup of coffee (by way of a $5 Starbucks card). Good luck. 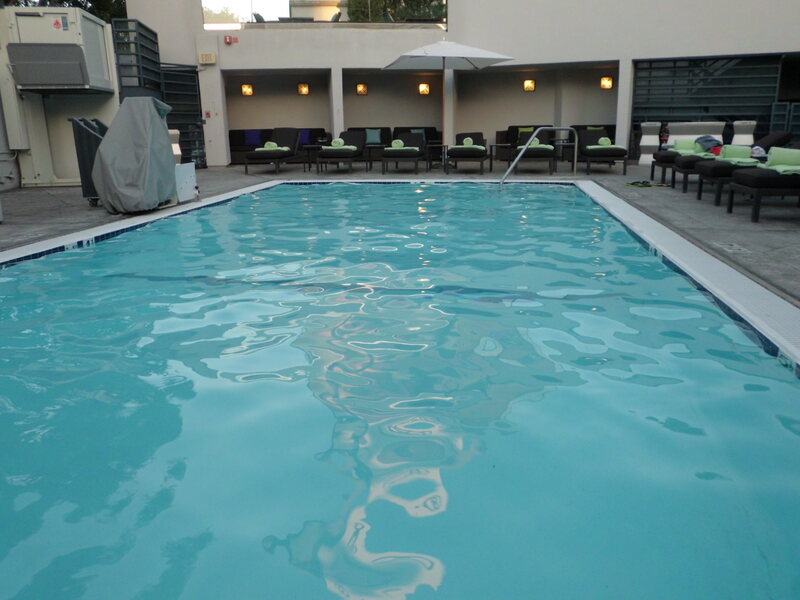 Click for more Los Angeles pool reviews.